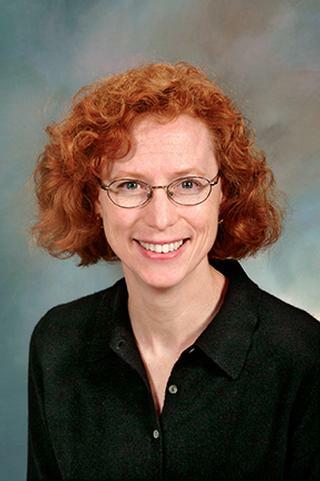 Dr. Catherine Gracey is an Associate Professor at URMC. She attended medical school at the University of Rochester School of Medicine and Dentistry and then completed her internal medicine training at the University of Rochester Primary Care Program in Internal Medicine. She is also the Associate Program Director for Evaluation, Assessment, and Faculty Development for the internal medicine residency program. Weissmann PF, Branch WT, Gracey CF, Haidet P, Frankel RM. "Role modeling humanistic behavior: learning bedside manner from the experts." Academic medicine : journal of the Association of American Medical Colleges.. 2006 Jul 0; 81(7):661-7. Haidet, P; Kelly, PA; Bentley, S; Blatt, B; Chou, C; Fortin VI, AH; Gordon, G; Gracey, C; Harrell, H; Hatem, D; Helmer, D; Paterniti, D; Wagner, D; Inui, T; for the Communication, Curriculum, and Culture Study Group. "Not the Same Everywhere: Patient-Centered Learning Environments at Nine Medical Schools." JGen Intern Med. 2006; 21: 415-419. Gracey CF, Haidet P, Branch WT, Weissmann P, Kern DE, Mitchell G, Frankel R, Inui T. "Precepting humanism: strategies for fostering the human dimensions of care in ambulatory settings." Academic medicine : journal of the Association of American Medical Colleges.. 2005 Jan 0; 80(1):21-8. Edited By: Leppert, P. and Howard, F.